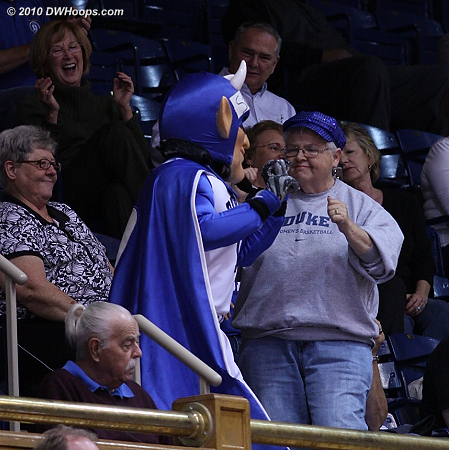 DWHoops Members may log in to view an additional 68 photos on this page - 49 free photos are below. 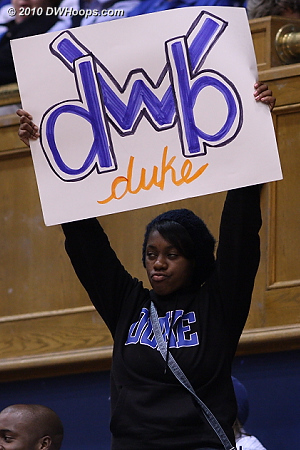 For information on joining DWHoops, please click here. 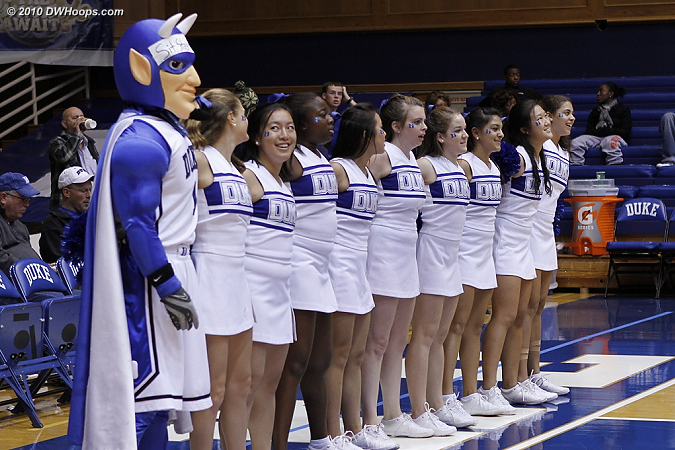 Our earlybird offer has been extended! 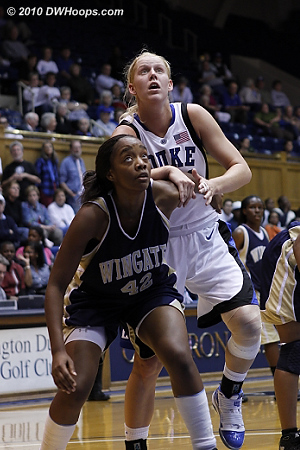 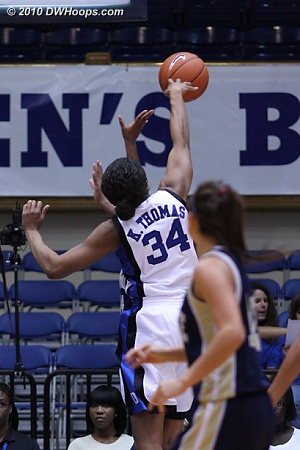 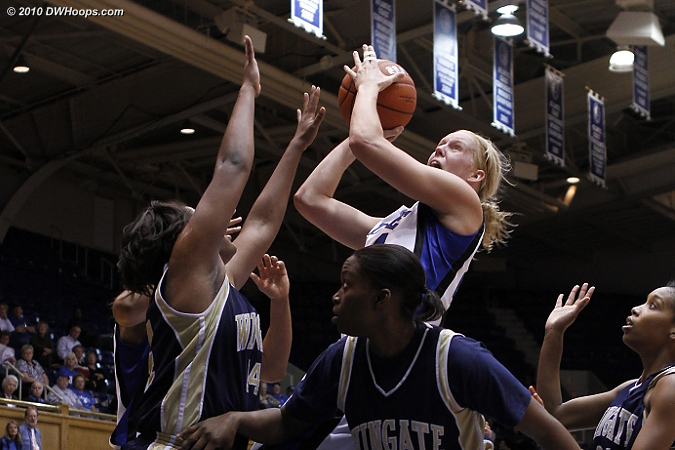 Thomas started things off by blocking Wingate's first two shots. 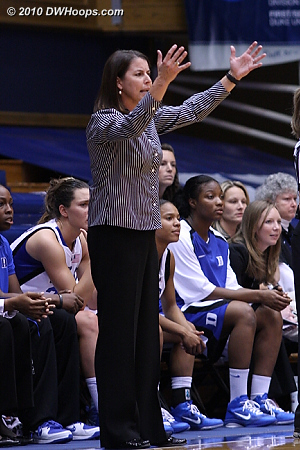 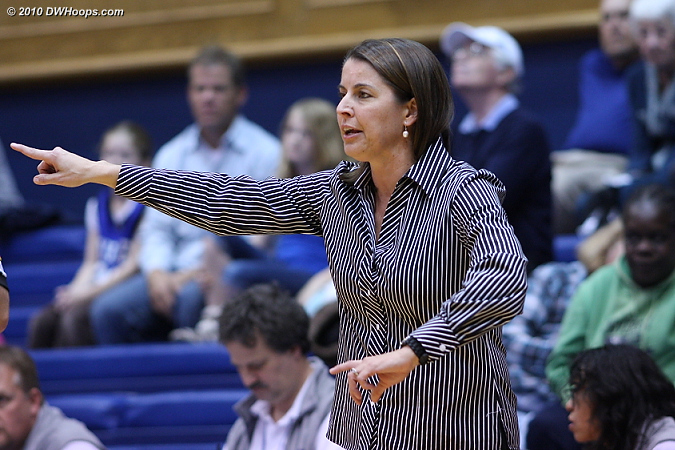 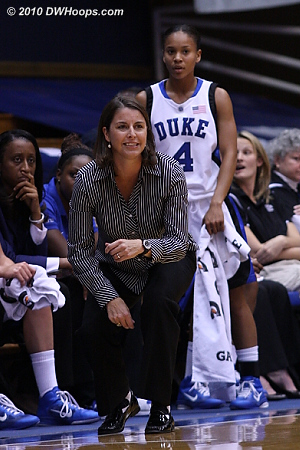 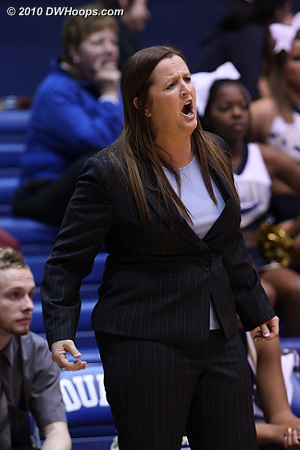 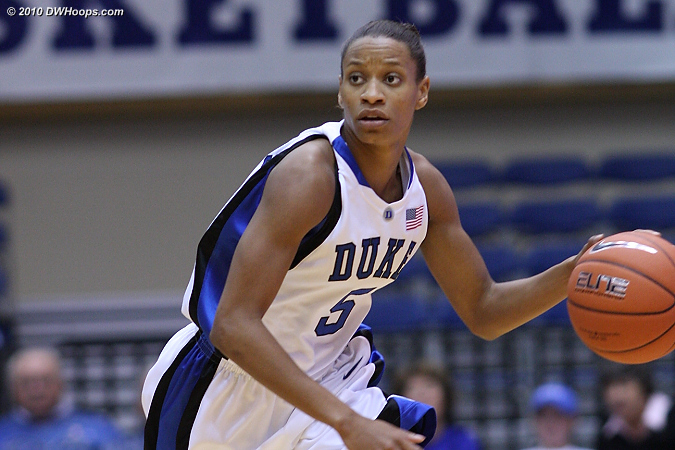 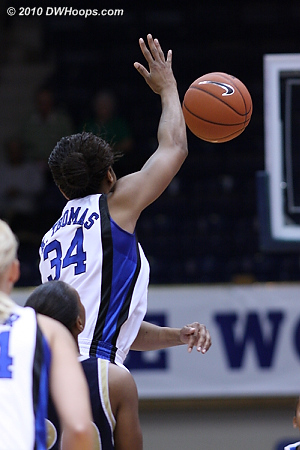 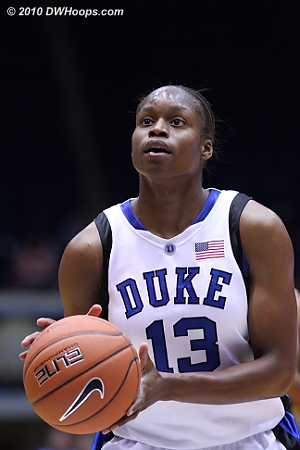 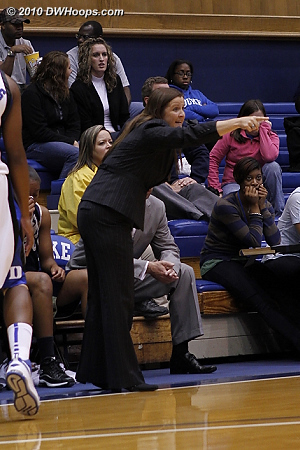 Jasmine Thomas didn't start the game due to an unspecified violation of team rules. 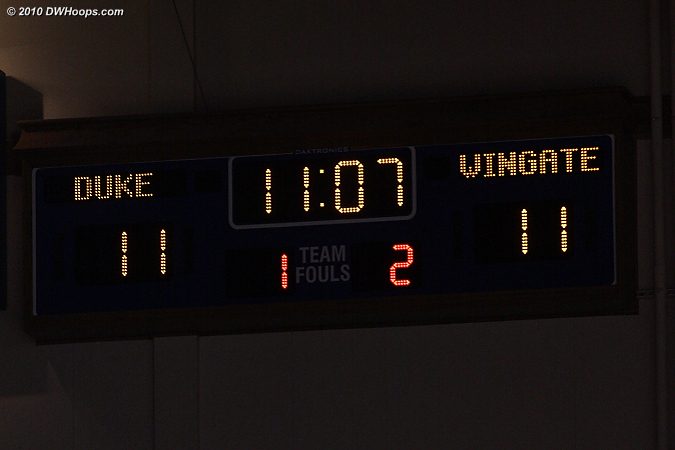 The game was uncomfortably close early on. 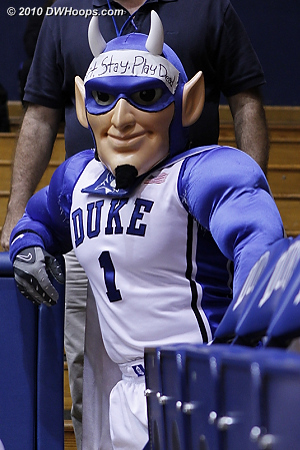 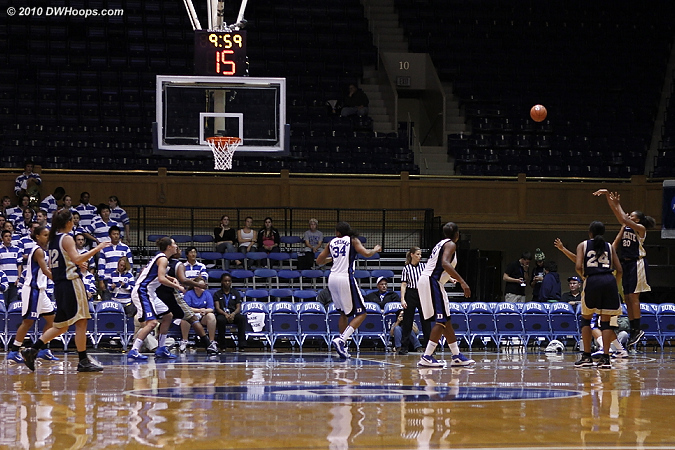 Scheer drains a trey to break the 11-11 tie, and Duke would be off to the races. 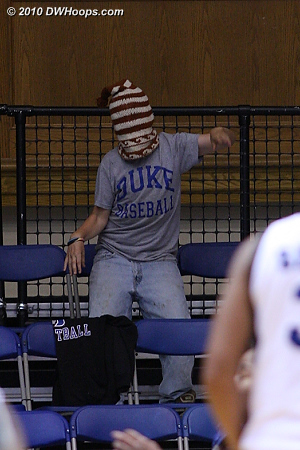 A youngster in one of the many timeout contests. 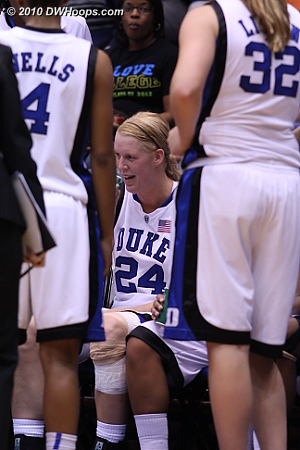 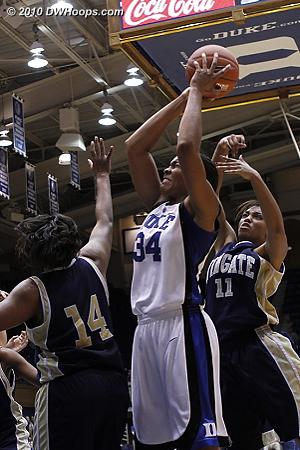 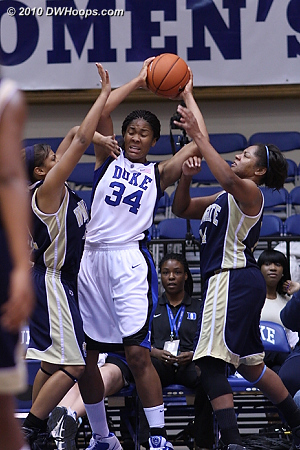 Krystal grabs a tough board and is hacked -- she had 22 rebounds tonight. 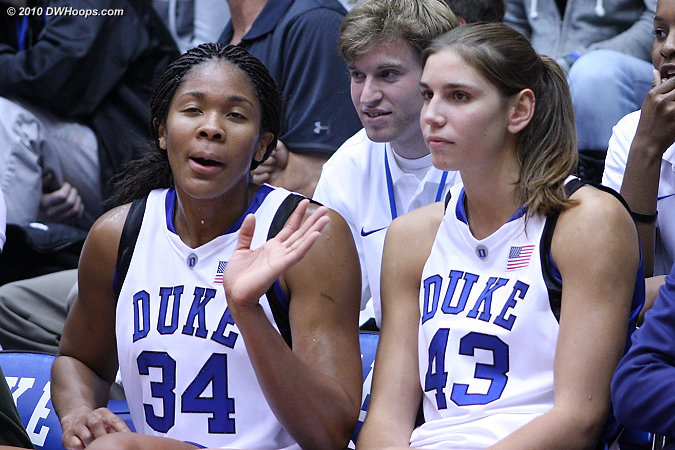 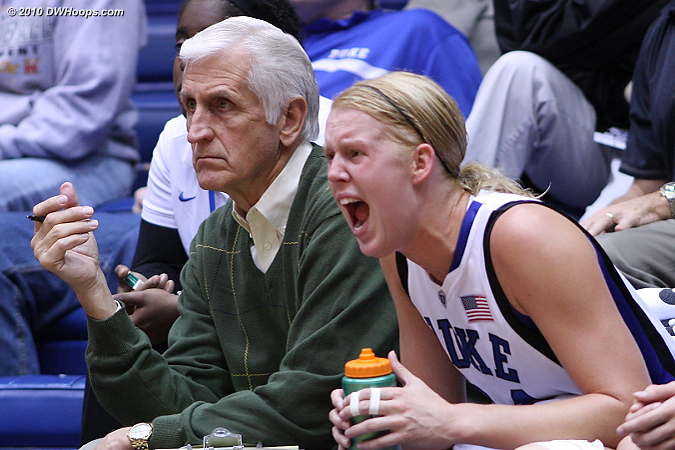 Fun times on the bench for Krystal but Alison would rather be in the game. 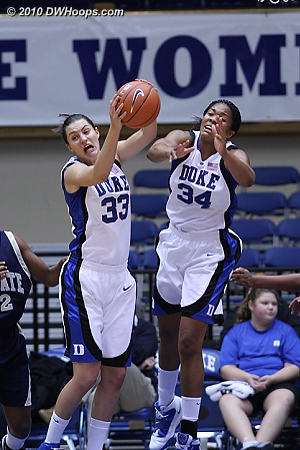 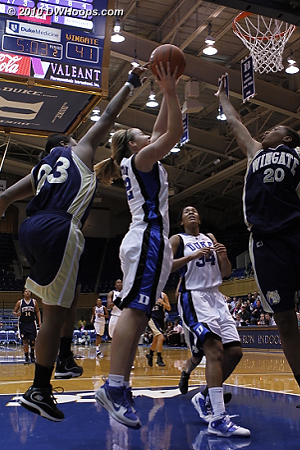 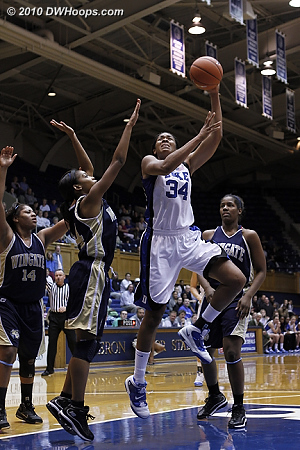 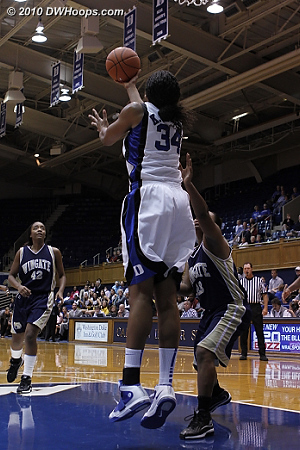 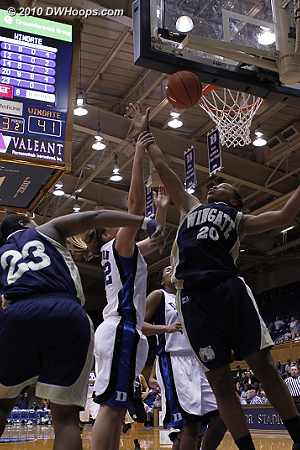 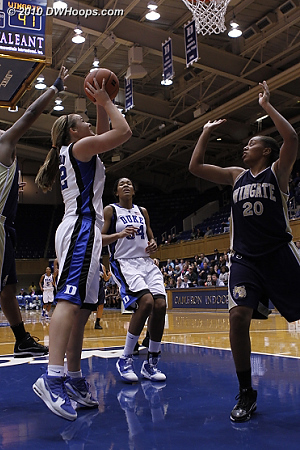 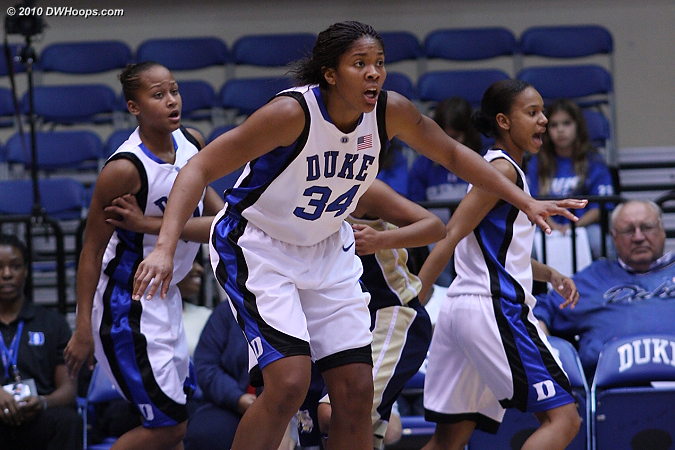 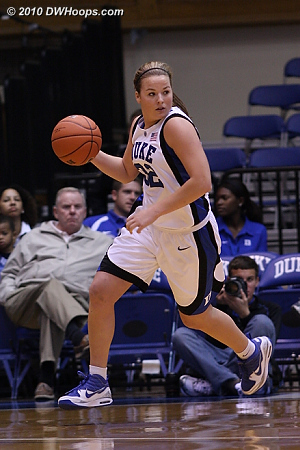 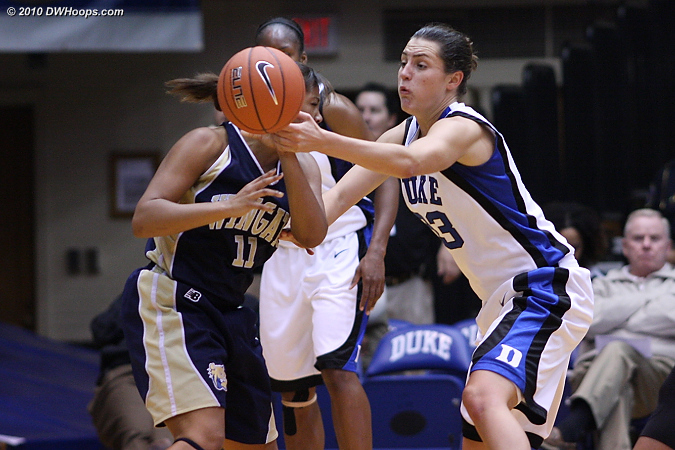 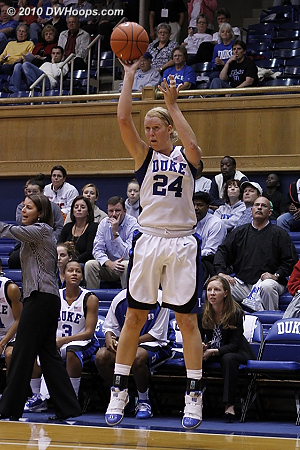 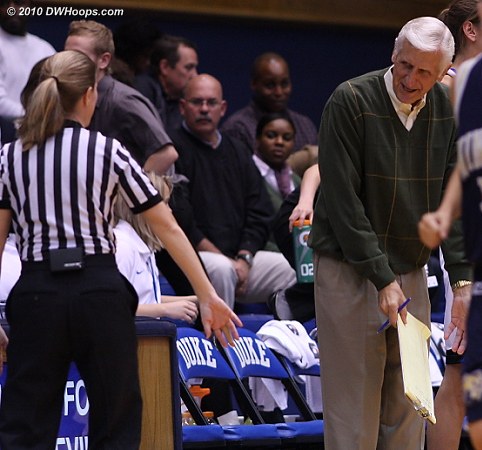 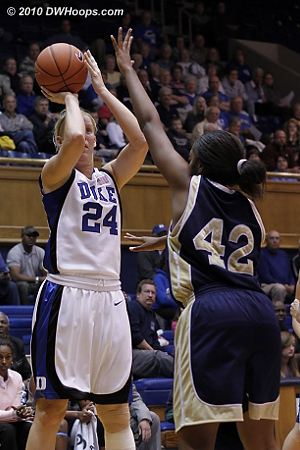 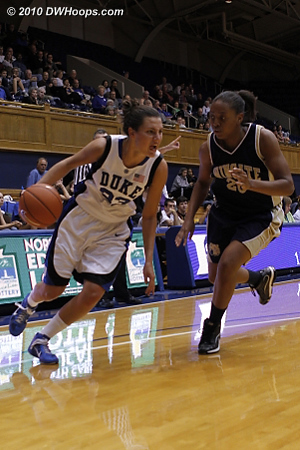 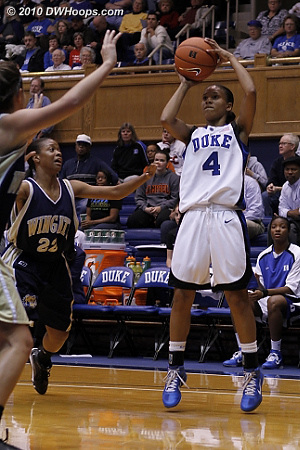 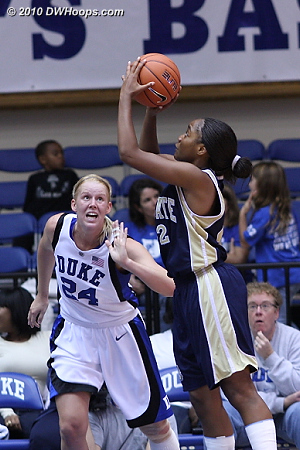 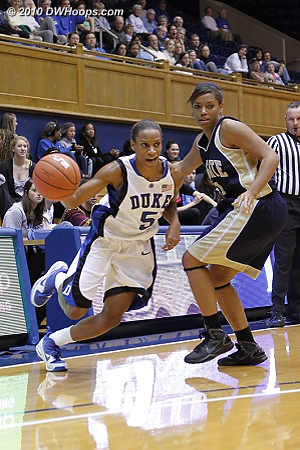 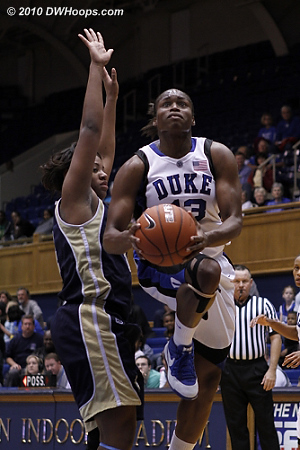 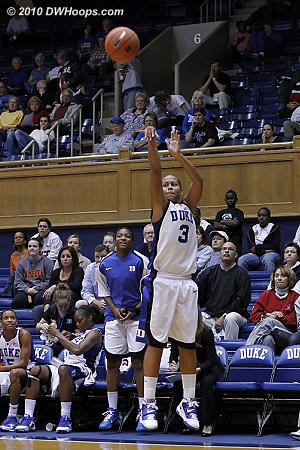 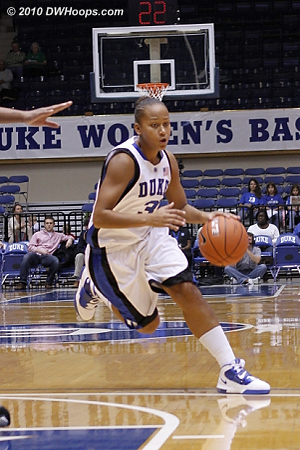 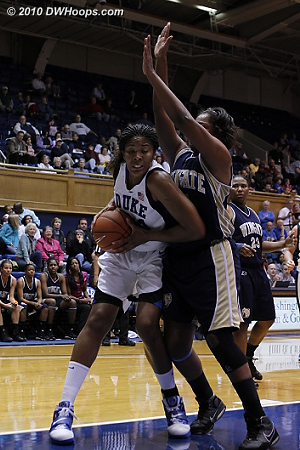 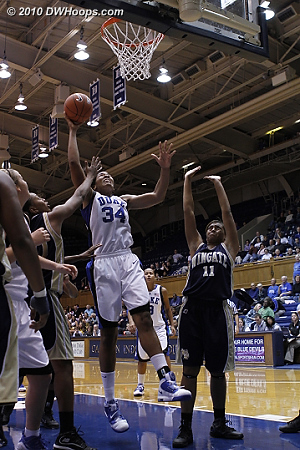 Jasmine scores again during Duke's run to end the first half. 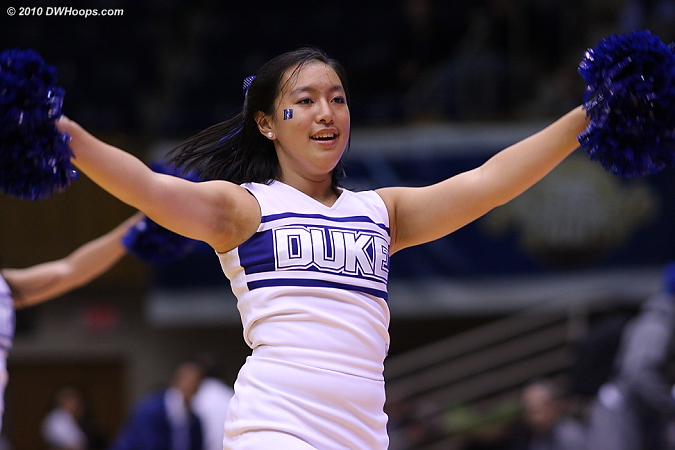 Duke's half-court defense got a little lax once it was a blowout, though they did expend a lot of energy on various presses and traps. 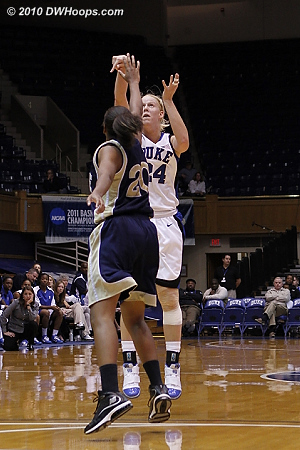 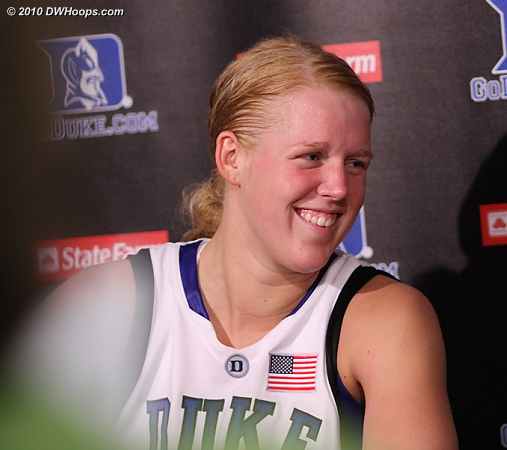 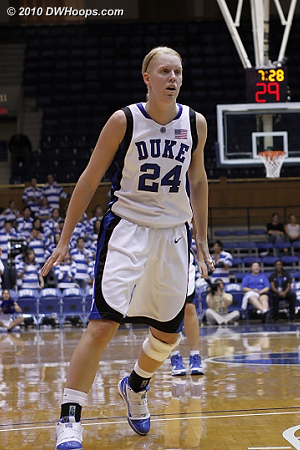 Kathleen Scheer had a great game, a confidence builder and potential stepping stone to a major role this season. 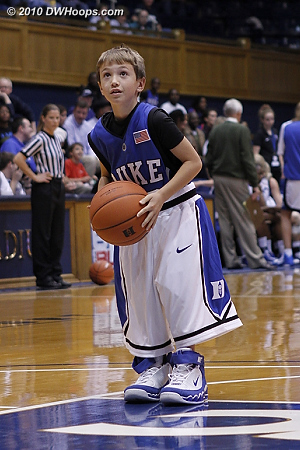 Another great look for Scheer who really looked comfortable on the court tonight. 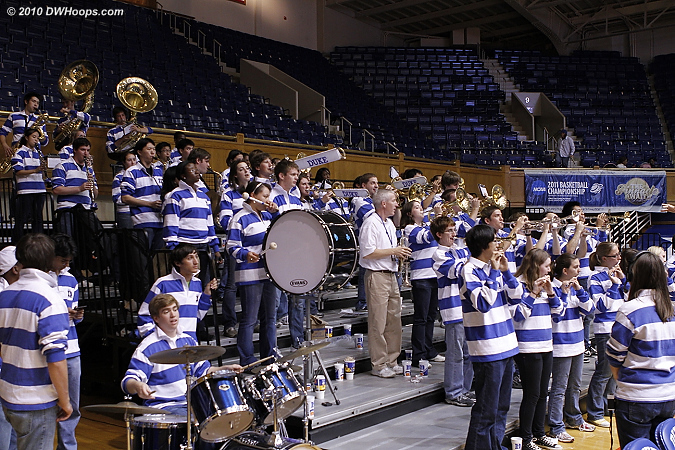 The Duke Pep Band turned out in full force, thank you! 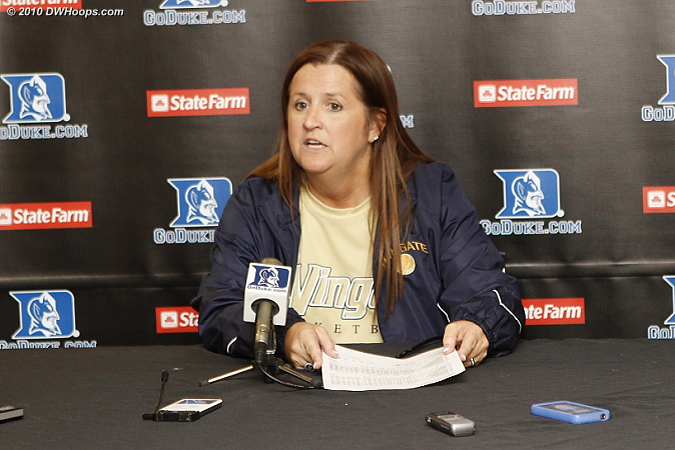 Wingate Head Coach Barbara Nelson in the media room: "I was much more pleased with what we brought - last year we played like we were just happy to be here, and this year we were competitive."